"Mountain Romance" a spacious, beautifully appointed cabin. 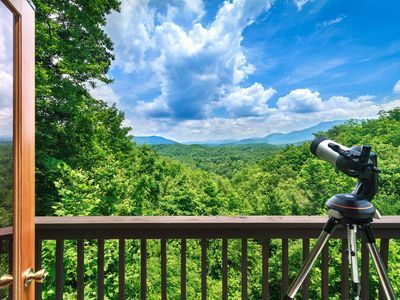 Are you and your significant other looking for a cabin to celebrate your anniversary, honeymoon or if you are just looking to escape reality for a couple days or more? 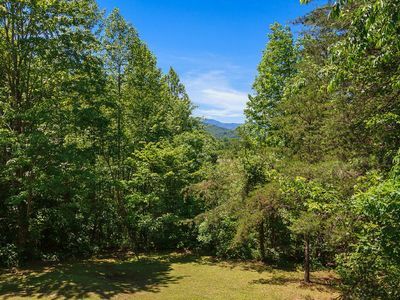 If so then Mountain Romance is the cabin for you. 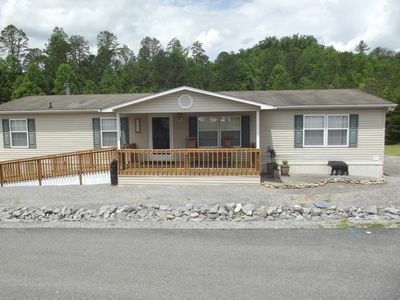 Mountain Romance is a spacious and beautifully appointed 1 bedroom 1 Bathroom cabin located in Cosby, TN. 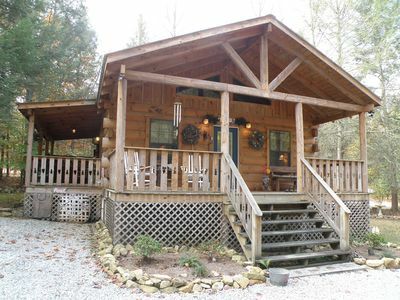 This cabin sleeps 3 guests comfortably. 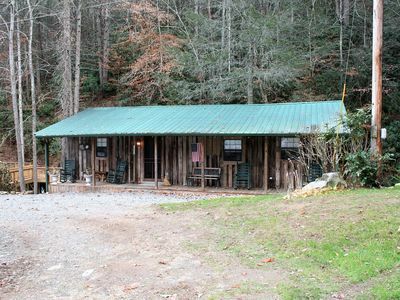 Mountain Romance is a pet friendly cabin. 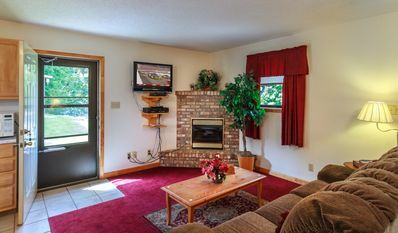 Mountain romance offers a fully furnished living area including a reclining sofa to prop your feet up after a long day of walking or hiking, a love seat, flat screen TV with antenna and a DVD player with a video library for those who like to watch television and last but not least in the living area you will find a gas fireplace for those chilly days in the Great Smoky Mountains. 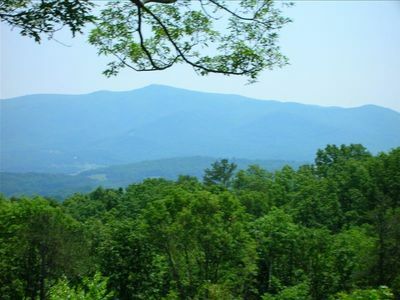 Mountain Romance offers its guests a fully equipped kitchen for all of your cooking needs and a dinner table that seats up to 4 guests to enjoy your meals. Also inside of the cabin you will find a queen sized bed in along with a full bathroom with a stackable washer/dryer. 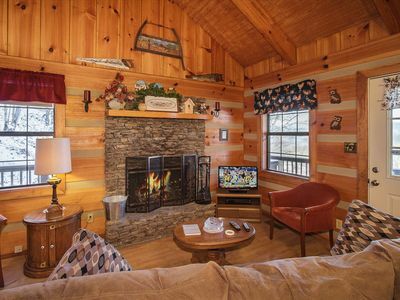 Other amenities that this cabin offers is central heat/air, board games. 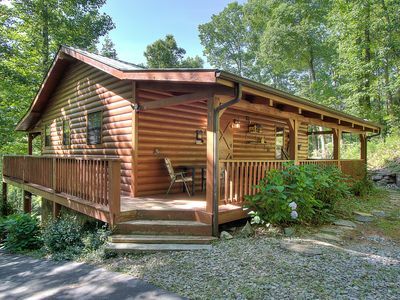 Mountain Romance also offers a charcoal grill, picnic table, outdoor fire pit and a nice sitting deck for all of your outdoor needs. Cabin does not have a functioning hot tub. 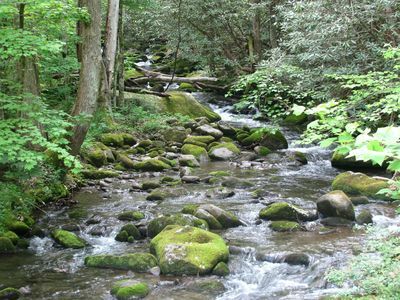 Mountain Romance is located only 23.5 Miles from the heart of Gatlinburg, 25.5 miles to Pigeon Forge and 8.8 miles to Newport. 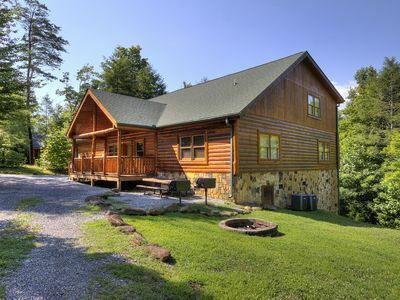 Majestic Waters-amazing 5 BR, 4.5 bath cabin with private pool & theater room! 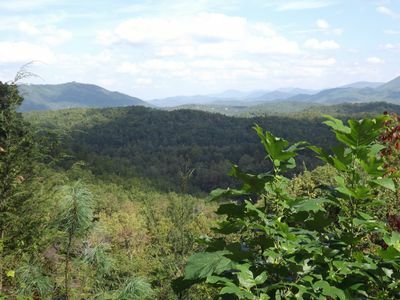 COME ENJOY THE SERENITY & MOUNTAIN BEAUTY! 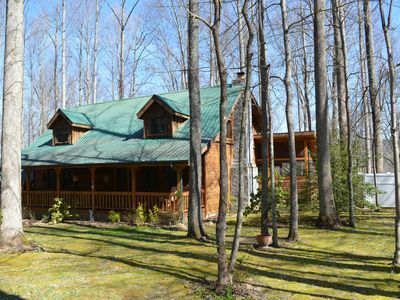 A Romantic Secluded Cabin With Mountain Views, Hot Tub & Wood Fireplace! 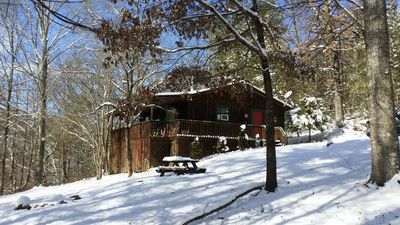 AFFORDABLE COZY MOUNTAIN CABIN ON THE QUIET SIDE OF THE SMOKY MT.NATIONAL PARK! 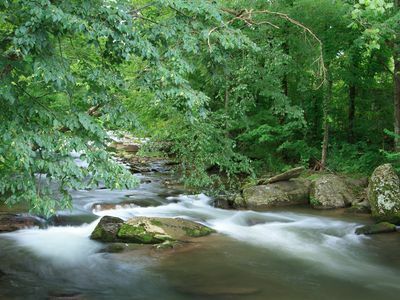 Charming cottage right on Cosby Creek! Enjoy the waterfall from the porch! Must See! 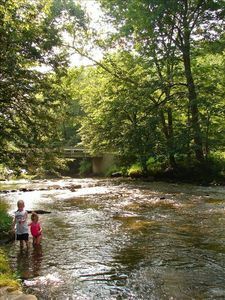 Family-sized log look home sitting on the banks of the Pigeon River! **ALL NEW** Need Quite Time Southern Pride Has It All !!! 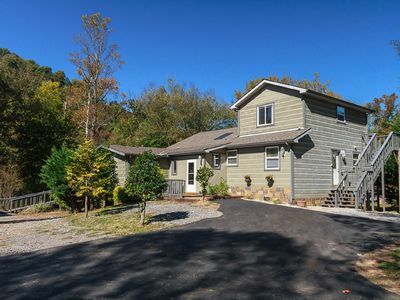 Cozy PRIVATE Cabin on 2+ Acres ! Sleeps 4, HT, FP, EASY access, NO Steep Roads!